Anyone who donates to our non profit charity in Midtown Atlanta, Georgia plays a part in improving the lives of those battling renal disease. This highly debilitating illness, which affects 26 million adults in the U.S., oftentimes prevents patients from being able to work and requires them to spend lengthy hours in the hospital undergoing treatment. 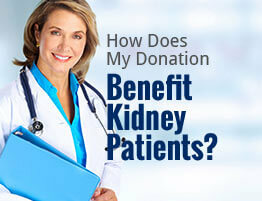 American Kidney Services helps cover the financial expenses of patients with kidney disease. We do this by accepting donations and giving all the generated proceeds to the American Kidney Fund, which in turn uses the money to help patients with renal disease pay for essentials, such as housing and transportation. The process of donating any of the above is hassle-free. You can either leave your items in one of our drop boxes around town or in a local Value Village location. Alternatively, you can request to have one of our collection vehicles pick up your items from your driveway. If you’d rather opt for our curbside service, simply fill out our online form and we’ll inform you of when our vehicles will be in your neighborhood. If you have any questions about how to donate to our non profit charity in Midtown Atlanta, GA, contact us today. We’d be happy to speak with you and address any concerns you may have.